RAWALPINDI: An Afghan national, suspected of being a facilitator of the National Directorate of Security — Afghanistan's premier intelligence agency — was apprehended, the army said on Friday. According to the Inter Services Public Relations, the Frontier Corps (FC) Balochistan, along with intelligence agencies, conducted intelligence-based operations in Musa Colony and Sangan areas of the province. In Sangan, the FC recovered weapons and ammunition, including explosives and communication equipment, according to the ISPR statement. 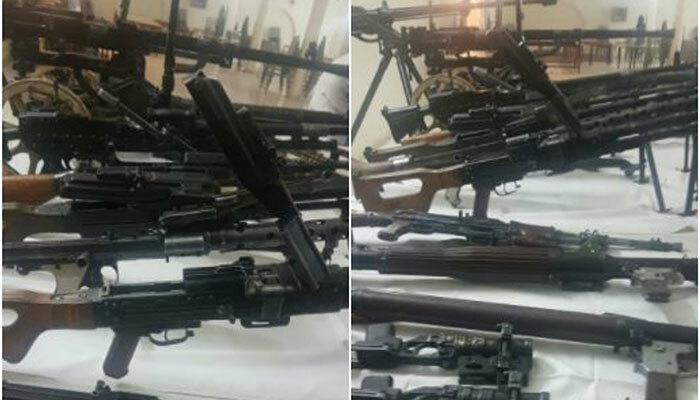 "In a de-weaponising campaign, residents of Sibbi, Talli and Dera Murad Jamali voluntarily deposited their illegal weapons with the FC," the statement added.